I’ve been seeing a new kind of spam recently: blog-comment spam. Actually, this has been around for a long time, but it has recently become much less stupid. A long time ago, someone, probably my dad, told me that “80% of all carburetion problem are really electrical.” In other words, your engine doesn’t run, and you suspect a fuel or carburetor problem, when all the time it was an ignition problem. 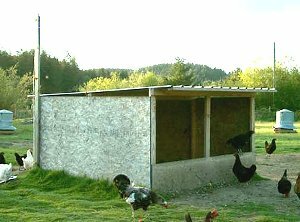 Author Robert PlamondonPosted on July 4, 2009 October 5, 2016 Categories Chickens/Poultry, Farm Tech2 Comments on The Ideal Roof for a Chicken Coop.